Yolanda Castro-Dominguez is a native Texan who grew up in Irving, Texas. While working for a title company in Irving, she developed a passion for helping others that inspired her to attend law school. Yolanda graduated from Texas A&M University School of Law in 2015 and she decided to open her own office in her hometown of Irving, Texas in 2017. Yolanda primarily focuses on Real Estate, Family Law, Estate Planning, and Probate. 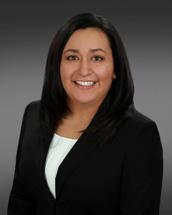 In addition to running a law firm, Yolanda brings over 10 years of title experience into her practice. She operates a fee attorney office for Community National Title. Through her title office, she is able to assist people who are buying or selling their home. Yolanda currently resides in Grand Prairie, where she enjoys spending time with her husband, son, and three dogs. She enjoys reading and camping and is always looking forward to her next adventure.